Coral Breeze (Units A and B) is your brand new paradise. 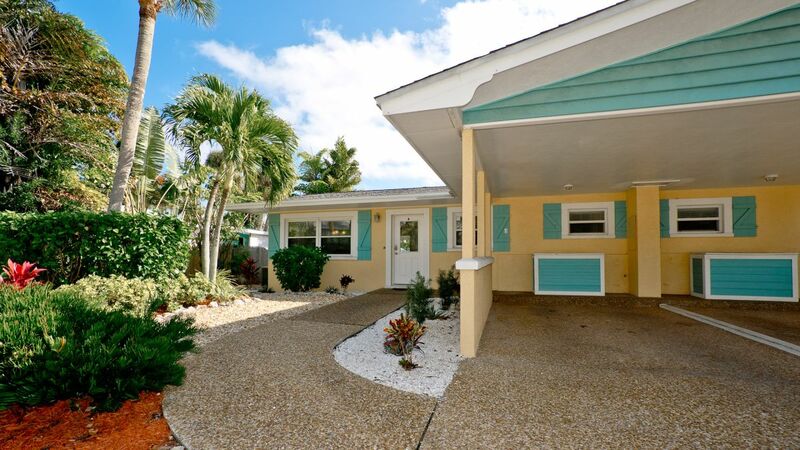 Each 2 bedroom 2 bath side of this adorable duplex features everything you need for your island vacation. 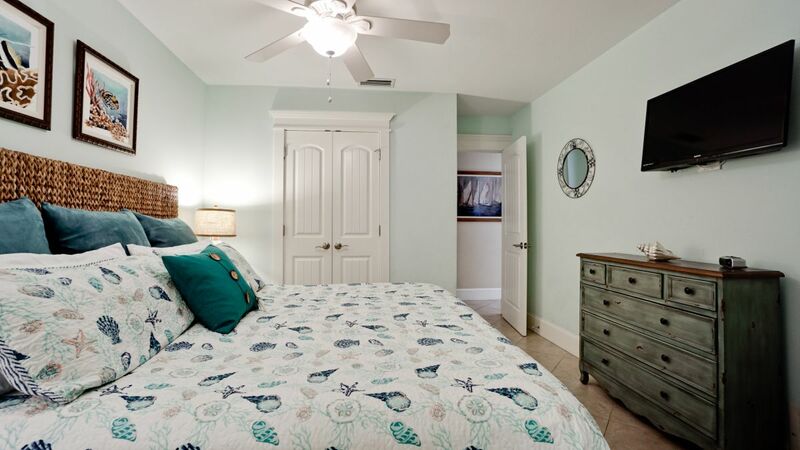 The master bedroom features a king sized bed with an en-suite bathroom with walk out access to your tropical tiki patio and private heated pool. 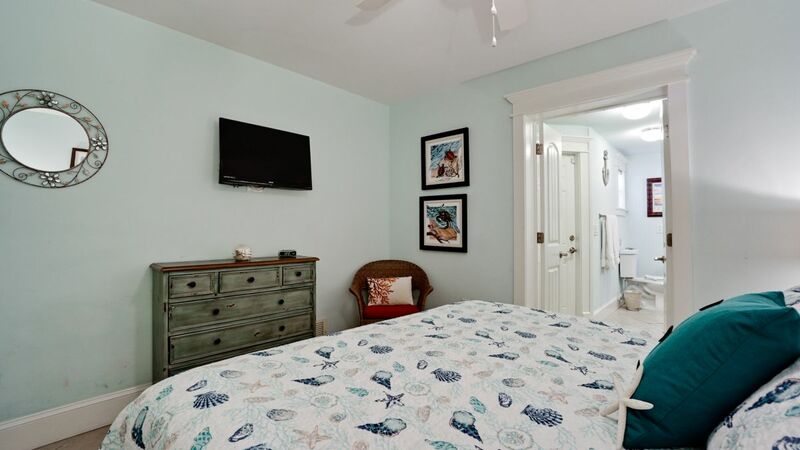 2nd bedroom features 2 twin size beds, and the living room has a fabulous sofa sleeper. 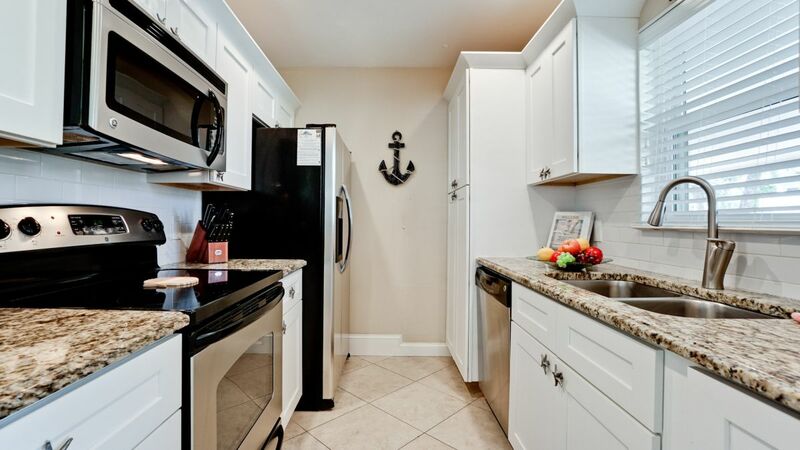 The kitchen has brand new stainless steel appliances and has all the amenities you would have at home. 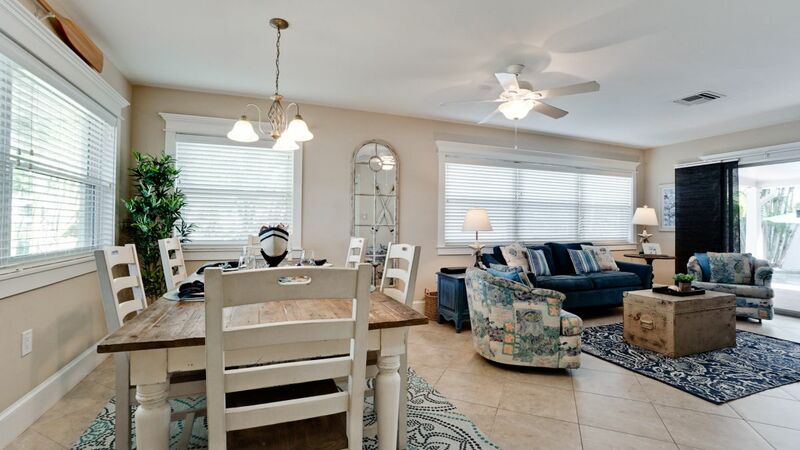 You are just a 2 minute walk away from the beautiful Gulf of Mexico where you can watch many beautiful sunsets, or spend the day just enjoying the sounds of the waves. 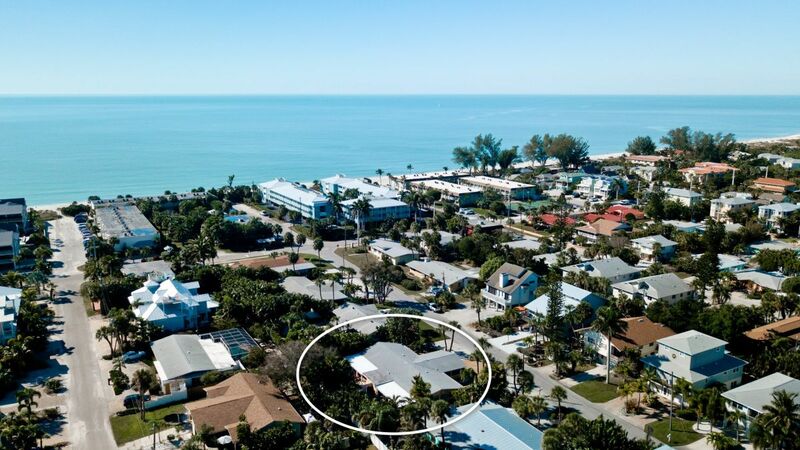 See what adorable Anna Maria Island has to offer with its unique boutiques and fantastic restaurants, either by foot or taking the free Trolley ride. 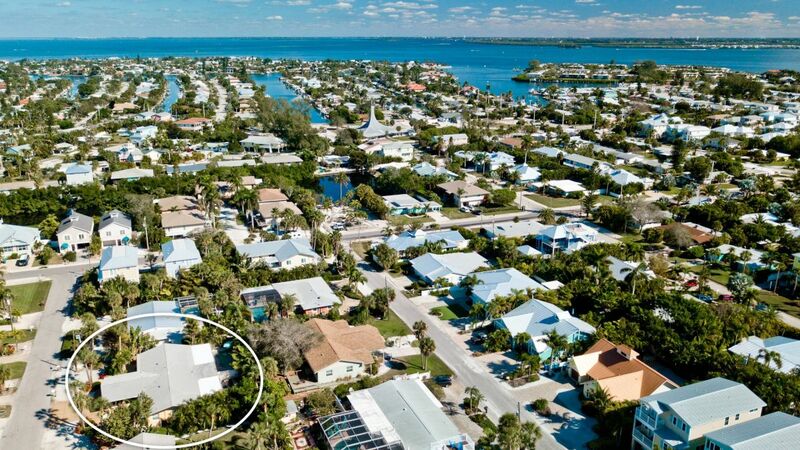 You may even want to book both sides of the duplex for family reunions or large gatherings where you could sleep 8 and have TWO pools and four bedrooms. There is a gate between the pool areas so you can easily maneuver from one side to the other. Pets up to 40lb are welcome. Pet fee plus taxes apply. Please contact me with information regarding Coral Breeze (A). We had a great stay at Coral Breeze A. Was the perfect size for the 3 of us and super cute. 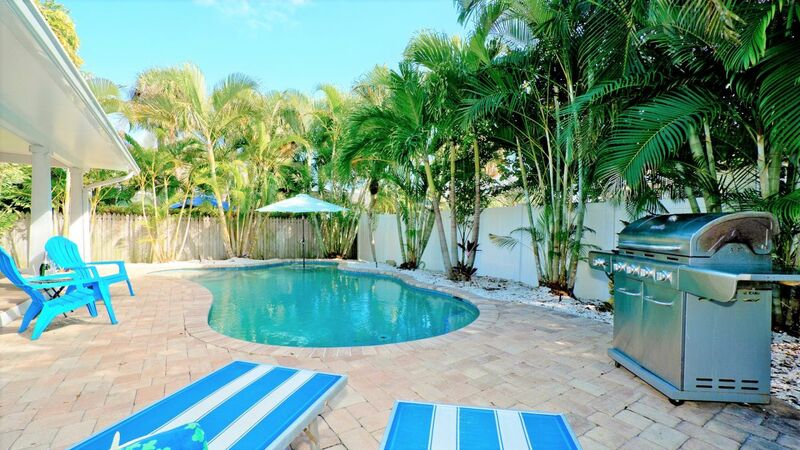 Close to the beach and the pool was an added bonus. Coral Breeze was a perfect location for my family's Spring Break. The 4 of us were on one side and my brother-in-law's family was on the other side. The kids loved being able to go between the condos through the gate in the backyard. The pool was just the right side and we could get anywhere we wanted to go on bikes. The beach is a short walk, and it really helped that we had awesome weather. We was 4 adults. 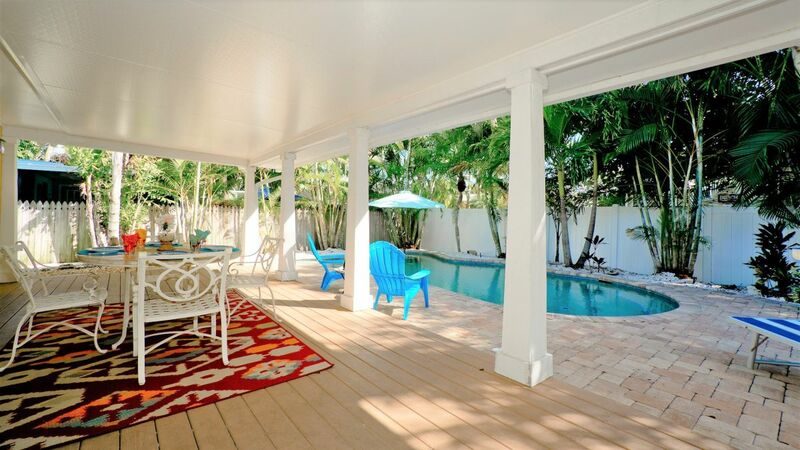 It is enough space, the porch is large, pool is great. The kitchen is very well equipped. We had a perfect stay at Coral Breeze (A) and could not fault anything about the accommodation. 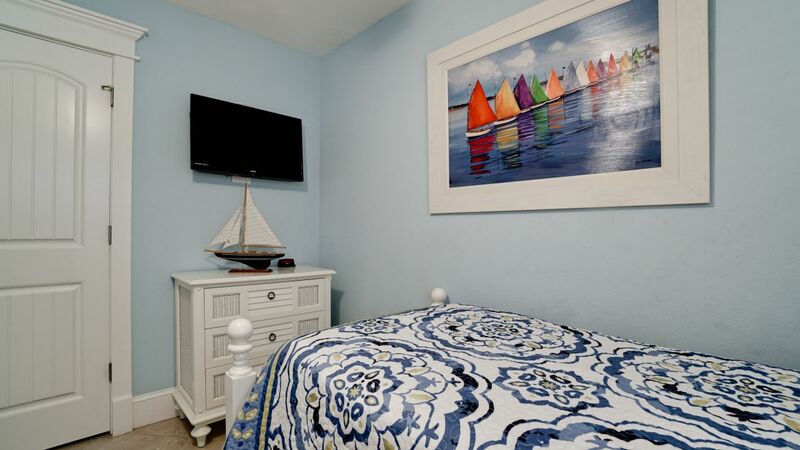 A beautifully furnished property, with everything you need for a gorgeous stay on Anna Maria Island. This is our second time at this property. 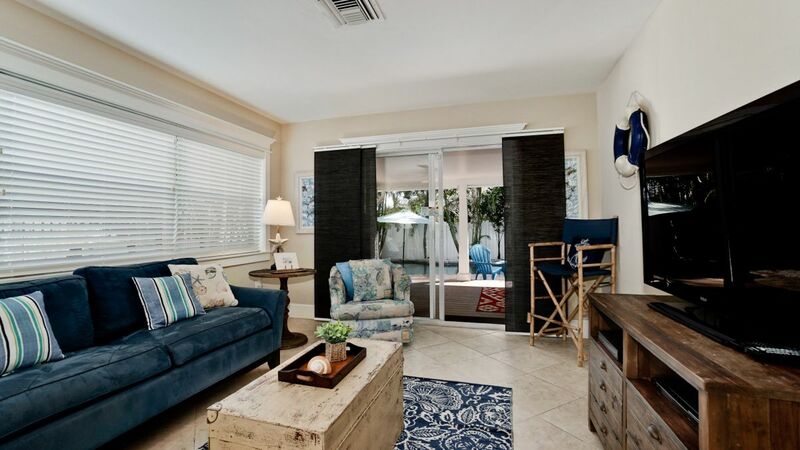 We love the proximity to the beach and peaceful backyard.Homey decor. The beach toys are plentiful and the kitchen well stocked. The mattress in the master bedroom must have been replaced from our first visit 2 years ago. This one is considerably harder and unfortunately by the end of our stay my back had considerable pain. Loved it! We will return to stay again. The house was spotless! And by spotless I mean SPOTLESS! I was really amazed that every inch of everything was like someone spent a week cleaning. Not a dirty window or surface from the ceiling to the floor, inside and out. The pool was amazing and clean too. The ocean is only a block away, like literally 2 minute walk. We left 4 body boards and a few things behind. There is a box out front with beach things and toys for just that. If you forget something, there are plenty of stores near by. Walgreens is about 5 minutes or so south. We are clean people, so this house was perfect for us and we will be coming back for sure! Thanks so much!!! Das Haus hat uns sehr gut gefallen. Es war absolut sauber und die Lage ist top. Ca. 200 Meter zum Strand und total ruhig gelegen. Die KÃ¼che ist gut ausgestattet. Wir haben tÃ¤glich gekocht und nichts vermisst. Beautiful House, everithing you need, we will be back???? We had a great vacation staying in Coral Breeze A. The house and it's location were perfect! It was very nicely decorated and clean. It was nice to spend a few hours at the beach then walk back to the house and relax in the pool. It would have been nice to have some beach supplies like beach chairs, an umbrella and boogie boards though. We would definitely rent this property again next summer. Loved the rental we stayed at, we rented others before but this was the best one by far! We loved it. We stayed 11 nights. The pool was wonderful and we spent a lot of time in it. Walking down to the gorgeous beach for the sunset every night was about a 5 minute stroll on a quiet pretty street. The home had a lot of kitchen utensils, plenty of dishes, pots and pans etc. The decor was adorable beach/coastal theme with lots of little details. I would recommend this place to anyone who asked. I think the only recommendation would be to replace the mattress soon in the master bedroom. It was overdue for replacement. Overall it was an awesome tropical paradise vacation. This was our second year staying here. 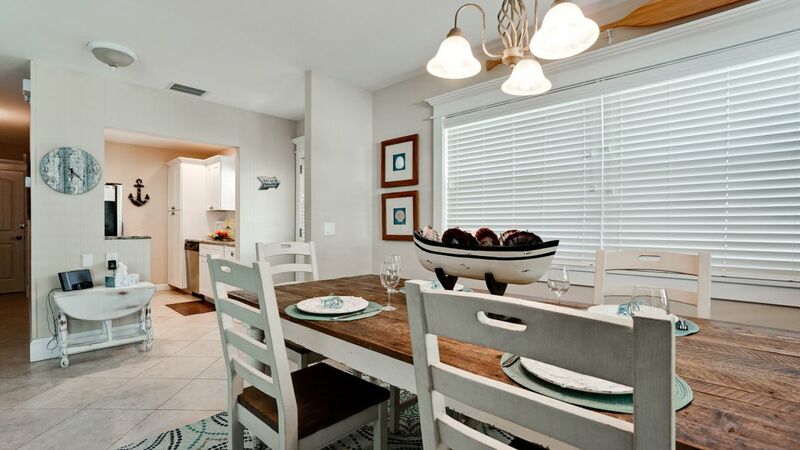 The townhome is spacious and bright and is only 1-1/2 blocks to the beach. The previous year, they provided a buggy to take all the beach items to the beach but they did not do that this year so we had to buy our own. The mattress on the bed definitely needs to be replaced. It also would also be nice to have a coffee maker that works properly and turns off automatically. Other than that, the unit is very comfortable with a well equipped kitchen, great big dining room table and comfy living room furniture! We already booked again for two months next year and can't wait to be back!! The house, garden and pool are just as pretty and high-quality in real life as in the pictures on the web! In short: we enjoyed our 5 day stay a lot. The location is excellent: a few minutes walk to the beach, crossing just one road with minimal traffic - felt safe and convenient even with kids. 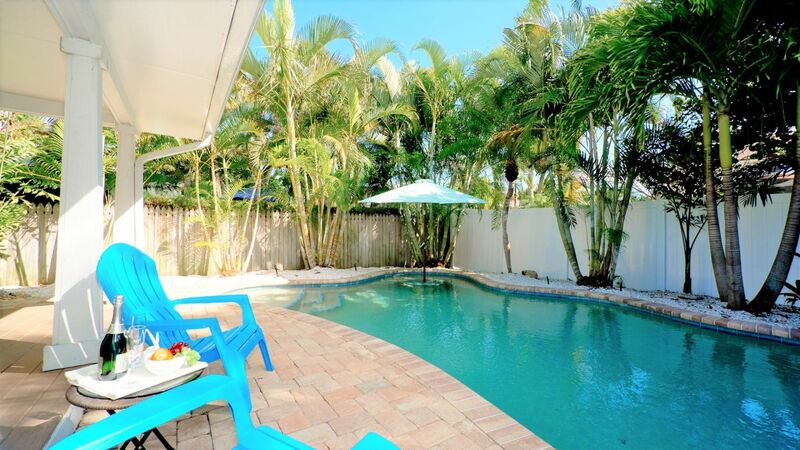 The backyard pool & patio area feels really private due to the fence and tropical plants, you really don't notice that there are neighbors quite close. The pool was heated to 80 degrees free of charge, a bit chilly but the kids loved it. There was lots of beach equipment available, left by previous renters: chairs, trolley, toys etc. - upon arrival we found quite a bit of dirty dishes etc in the kitchen cabinets, the dishwasher was sometimes doing a bad job.. Maintenance checked the dishwasher the next day but didn't find any problem. - The grill's ignition didn't work.. Maintenance brought in a lighter several days later, but delivered it to the unit next door..
- Drawer in master bedroom was more of a decoration than a usable piece of furniture; the drawers were stuck, leaving us with nowhere to nicely stove away our clothes. - Some cockroaches here and there, e.g. in kitchen drawer.. So, not quite 5 stars for condition and mgmt/maintenance even a LOT of things were impeccable! We booked via VRBO. Compared to many other online accommodation booking services, this felt a bit old-fashioned and non-transparent with many stages of emails / booking / confirmation / contract signing / payment confirmation etc etc.. Also from an European point of view it was quite a surprise we had to pay 4% extra for the credit card payment. We really enjoyed to stay at coral breeze (A). A quiet location near to the beach. Nice pool area. We would love to come again. We stayed at this home in September 2015, The home was very clean and nicely decorated had everything we needed. We were never in the home with the outside grill and pool we cooked our meals outside and stayed in the pool. The beach was a very short walk and it was easy even with a two year old. Was in our swim suit the whole week. The only suggestion I have is the need for more dresser space in the master bedroom. 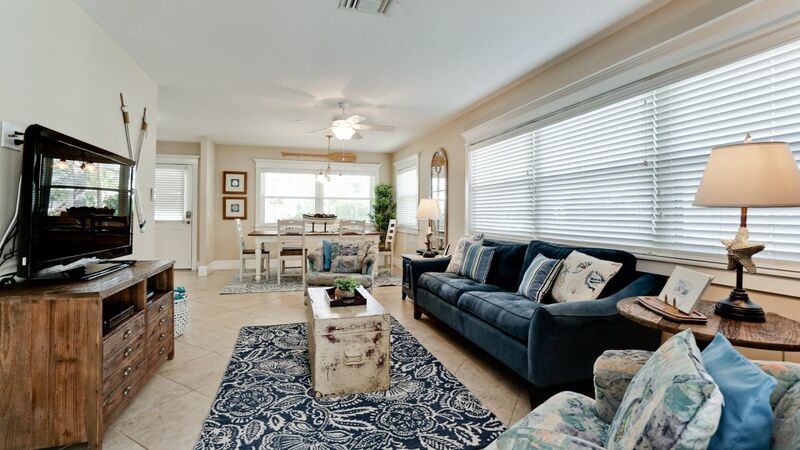 We had an AMAZING time at this cozy beach cottage! We were there for five days and had everything we needed and more! 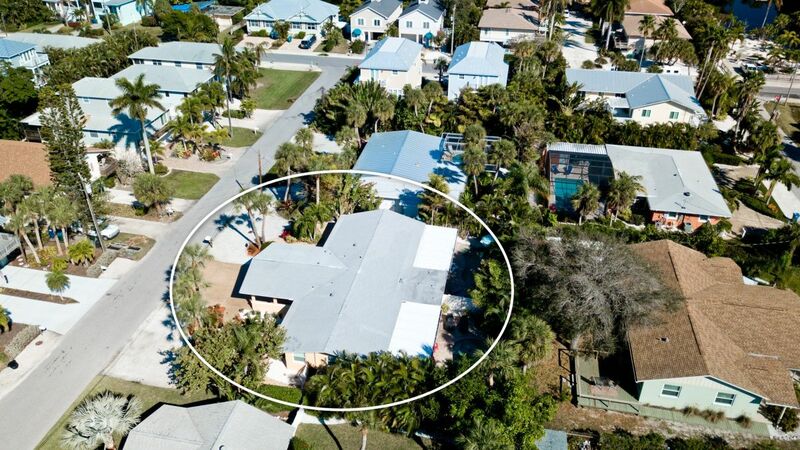 5 min walk to the beach, minutes away from great local shopping areas! We will definitely be back to the Coral Breeze! House was very clean and in great condition! Fell in love with the dÃ©cor! Thank you for such wonderful memories! Super relaxing and with the private pool the kids were so happy. 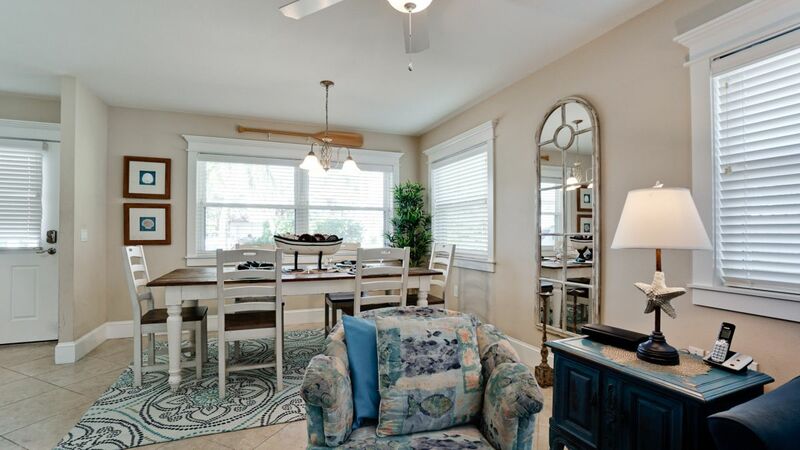 Beautiful home and very well decorated. Just a short walk to beach. Beds were comfy and place was stocked with everything we needed. 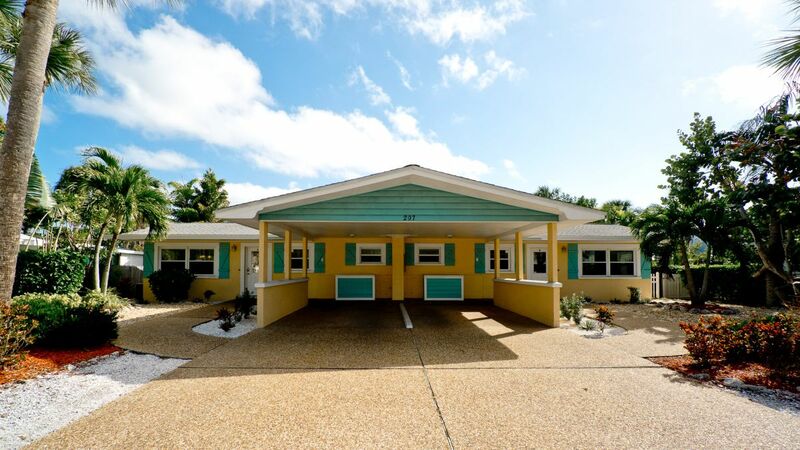 My husband and I had a wonderful vacation at Coral Breeze (A). Everything was just perfect. 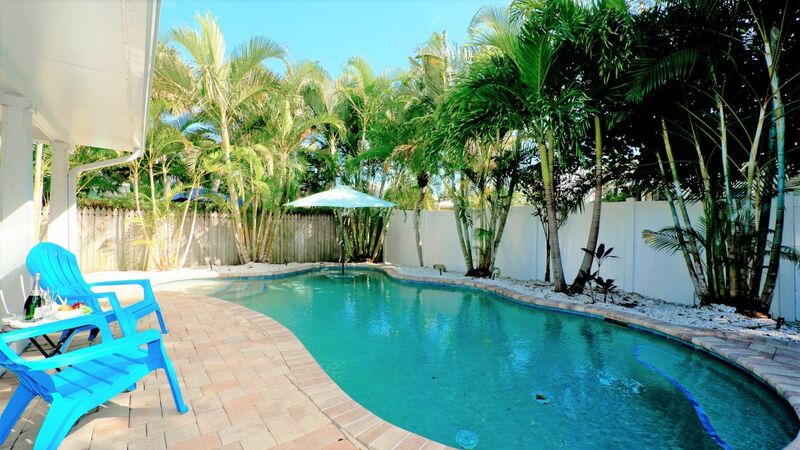 The pool is surrounded by beautiful tropical foliage and is very private. 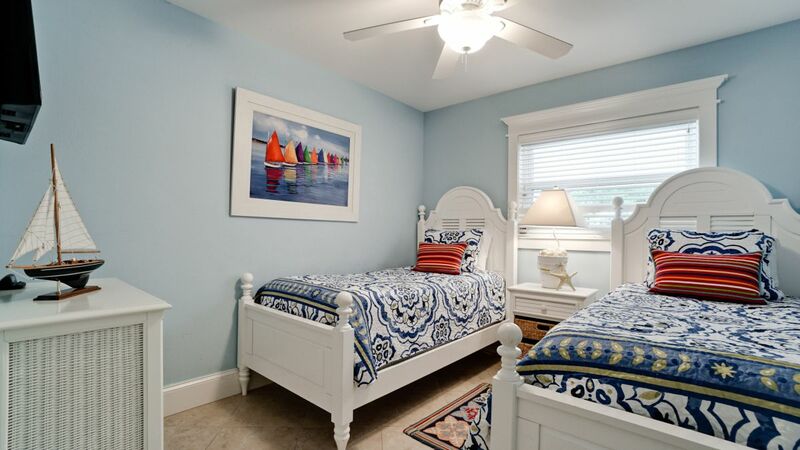 The house is decorated with lovely coastal decor! It is the best rental we have had so far. Thank you so much. Overall a wonderful experience. The condo was immaculate and beautiful. The pool was fantastic and very warm. We could see the beach from the driveway and everything we wanted was a few miles away . The only thing it lacked was an iron and ironing board, but we made due. Thanks so much ! We only stayed 3 days, but it was an amazing 3 days. The patio and pool were gorgeous and the house itself simply amazing. 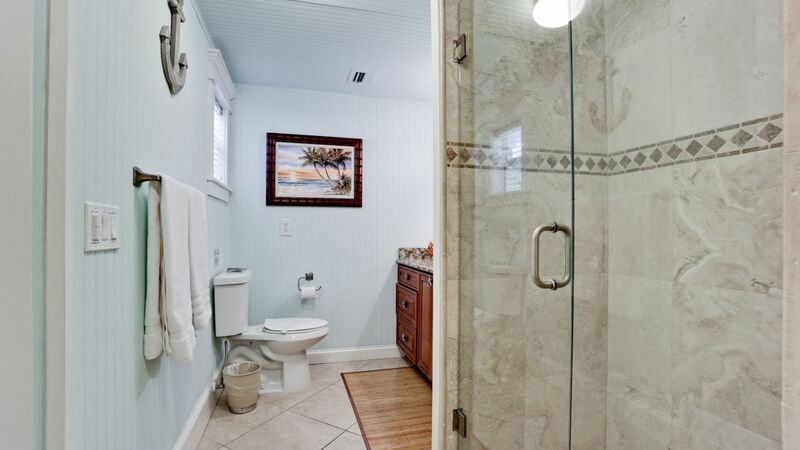 Admittedly when we saw pictures of the house, we thought...well if it's half as nice as the pictures we're good. Well, the pictures didn't do it justice. Everything we needed was there. The home was absolutely spotless. 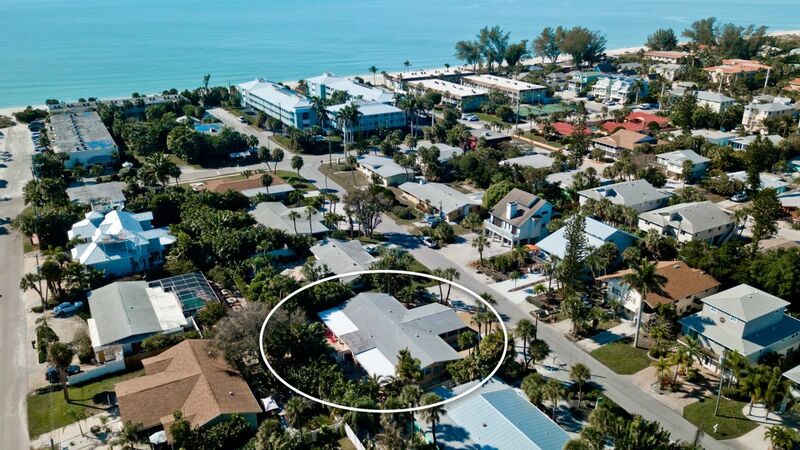 Walking distance to a beautiful beach, a great seafood shop....just perfect. 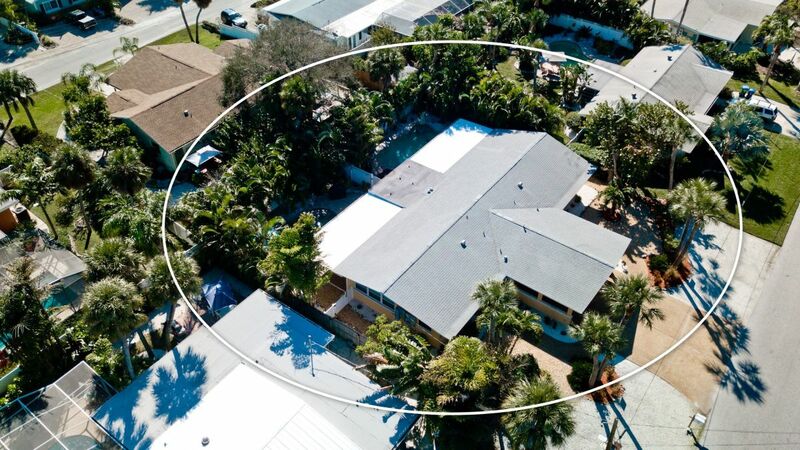 This property is perfect for a family of four. 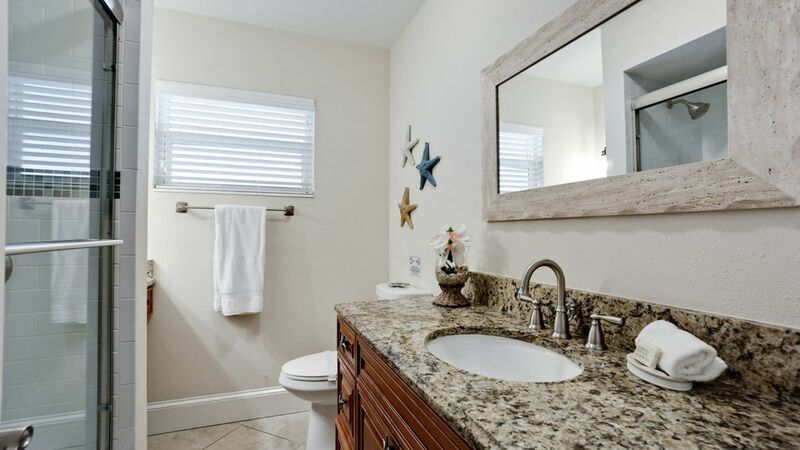 It is updated so nicely, was very clean and had all of the amenities to help you settle right in and feel at home. From the pool toys to the welcome snacks, the management team for this property thought of all details. They were extremely responsive to a quick question we had during the stay. 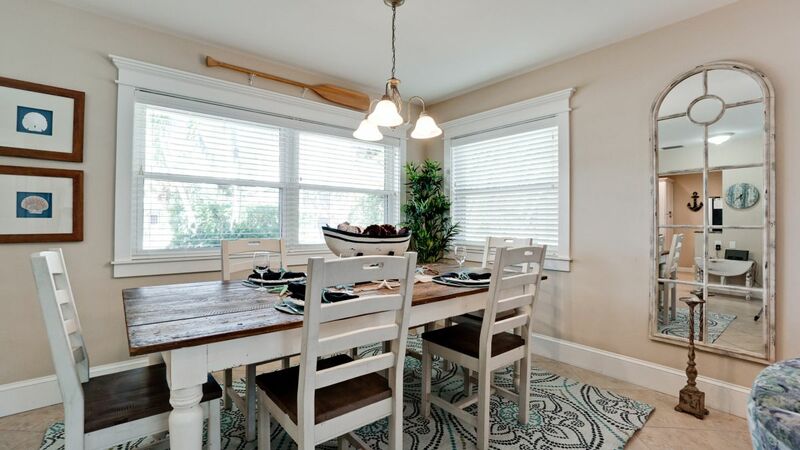 The house is just over a block from the beach and right on the trolley stop. Stay here...you won't be disappointed! 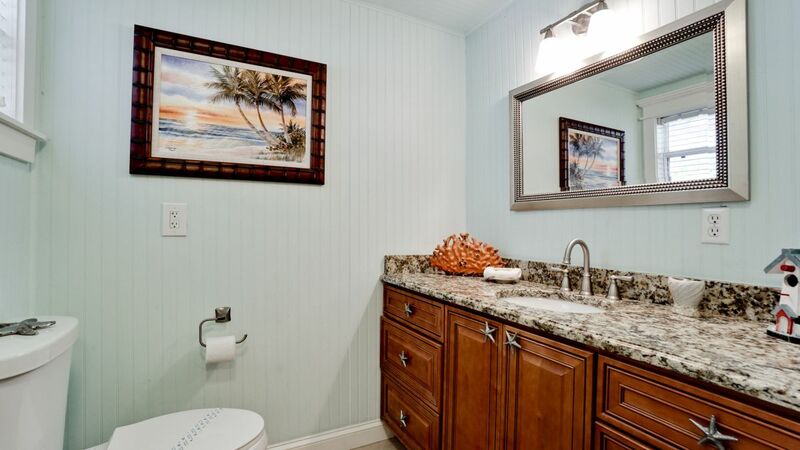 The duplex was renovated beautifully and the location was ideal. We were 1 block from the beach and centrally located for everything else. 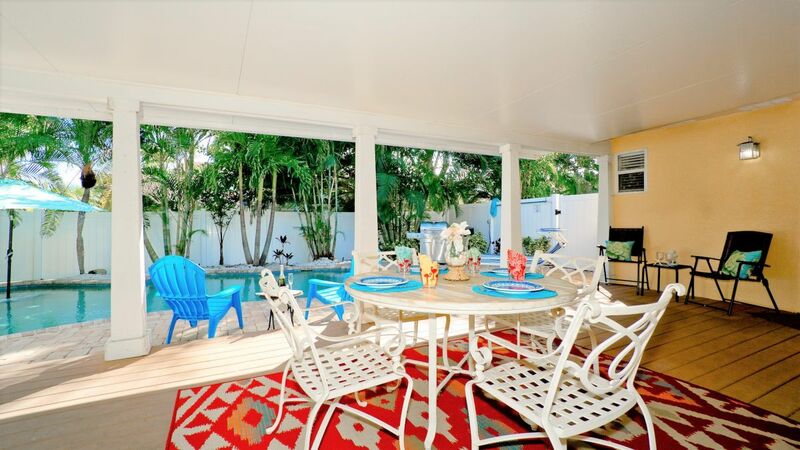 The covered patio and fenced in pool/back area were delightful. We had a wonderful 2 months and have already booked for next year. 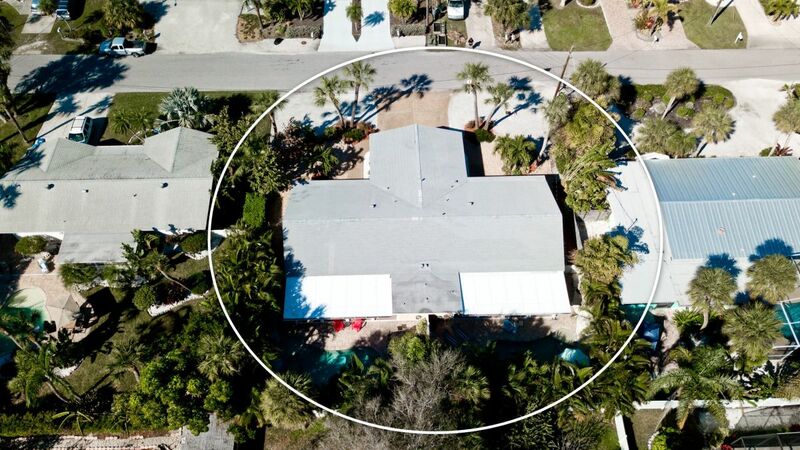 Great location...less than two blocks to the Gulf! 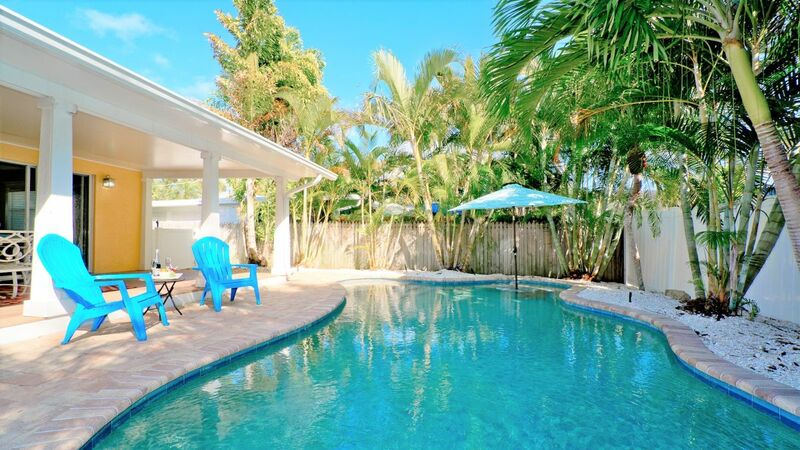 And private heated pool! Great location and space to totally relax and unwind! We like the House! All was perfekt! we come again! We love AMI and we travel there several times a year. This is our 1st time renting this property. 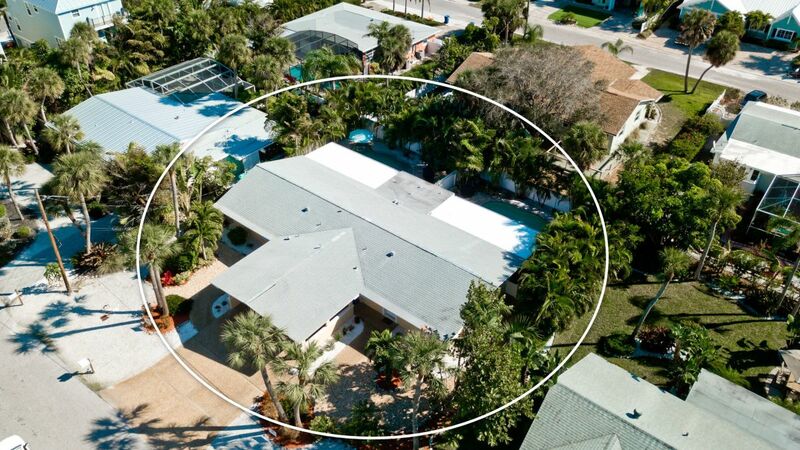 The location of the house is great, it's close to the beach, private pool is fantastic, and it's really beautifully upgraded. We did have some issues with the rental while we were there. If the issues were fixed then we would consider staying there again. 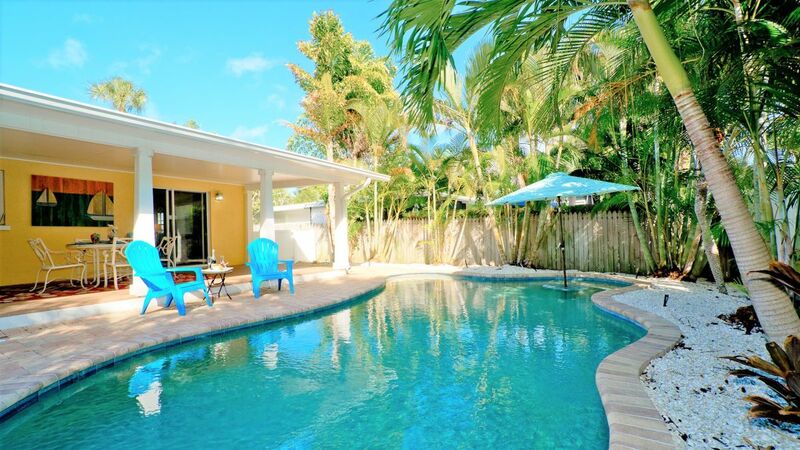 There are a lot of great properties in AMI to rent. The roaches and spending my vacation on a pull out couch because the master bed is broken and uncomfortable is enough to shy me away. Very nice house; clean and perfectly equipped. We felt at home immediately,and enjoyed our stay. 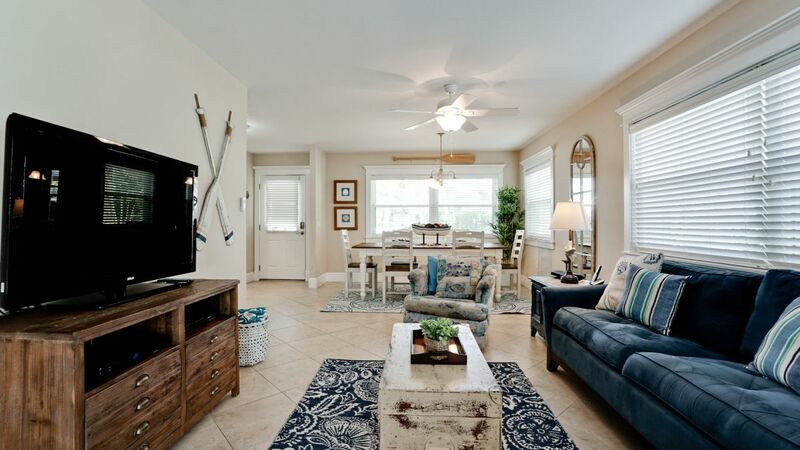 Only steps away from beach and Trolley Bus stop. This was the perfect escape from the everyday grind. 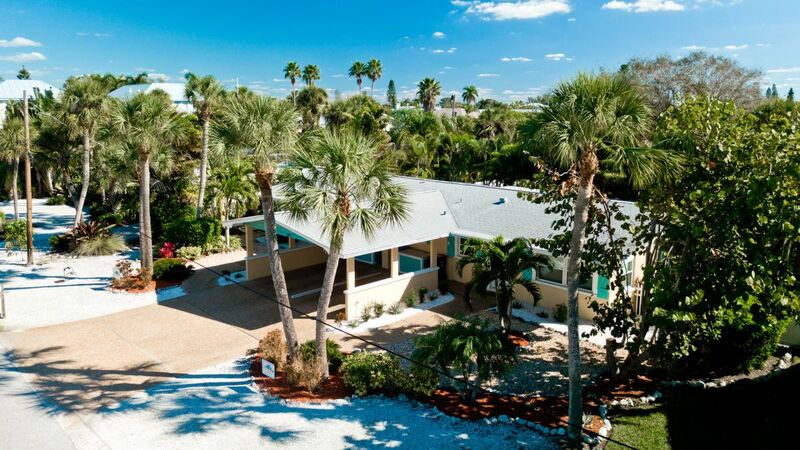 Island has old style Florida charm, accommodations great, check in and check out easy. 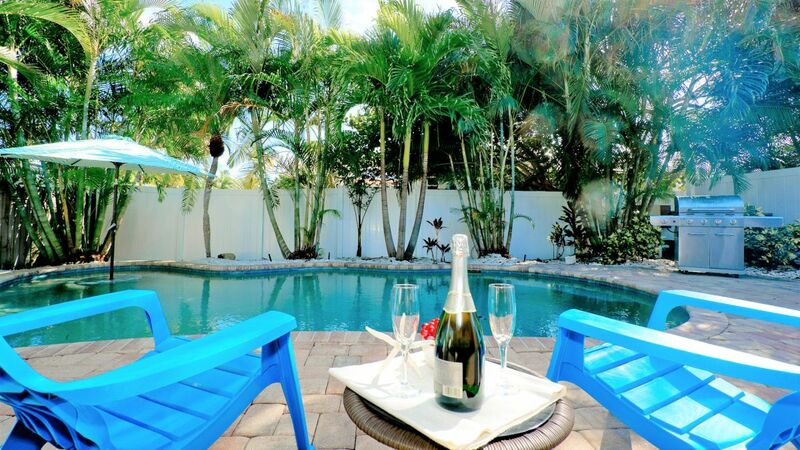 Private pool was prefect. Definitely will return and recommend to friends. Their policy of renters washing all linens and towels, except " check out linens" does not safeguard risk of infection. 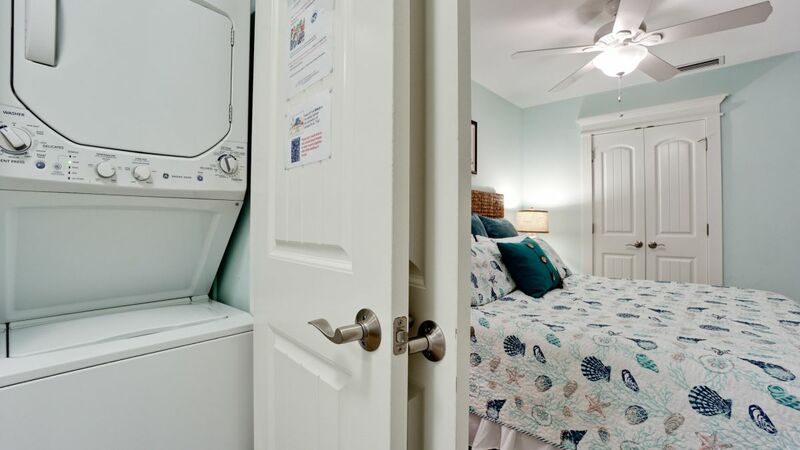 This allows the discretion of the renter to wash linens , towels and blankets so one is not assured they are washed correctly or with warm and hot water.This also applies to the cleaners who wash the check out linens, The washing machine is also apartment side. 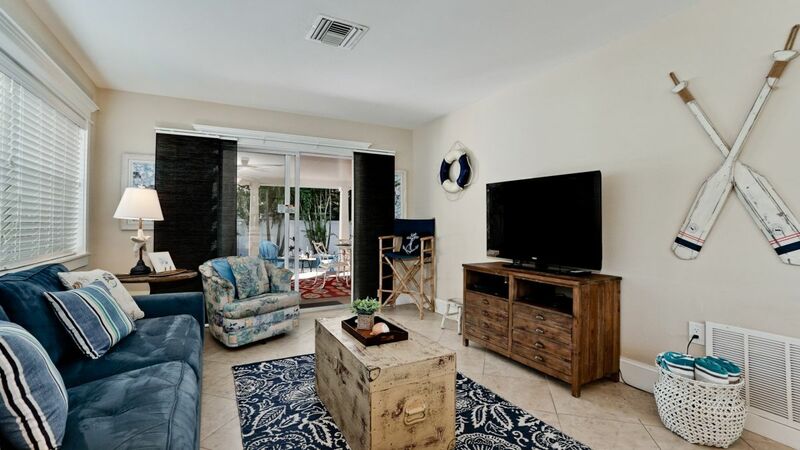 The Unit was in great shape and the short walk to the beach was easily negotiated. The neighborhood was quiet. While the grill had clean cooking grates, the drip pan underneath had not been cleaned a long time. The accumulated grease caught fire while grilling necessitating turning it off during grilling. The next day I removed the drip pan and scraped out the residue and it worked well subsequently.